Tomatoes arrived in our area in the mid-18th century – before we were even a state. Today, we have old-fashioned named slicers, such as Better Boys and Early Girls. These reliable old friends belong on white bread with mayonnaise and a dash of salt and pepper. Cherokee Purple, Bradleys, Black Zebras and Caspian Pinks are newer at our tables. These sophisticated friends pair well with olive oil, herbs and local gourmet cheeses. We all have our personal favorite varieties of this plump and delicious savory fruit. Tomatoes are so beautiful that the French grew tomatoes as a table ornament. When held in the light, the tomato is a sight to behold. The taut skin of myriad colors holds versatile and flavorful pulp and juice. This graceful orb is ripe with culinary potential. 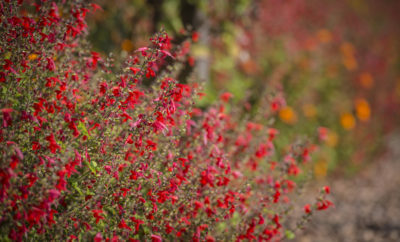 Fortunately, Tennessee climate offers a long growing season (mid-June to late September) that brings forth diverse varieties and applications. In fact, our state ranks fourth nationally for production of fresh market tomatoes, and the industry contributes more than $37 million to the state economy each year. 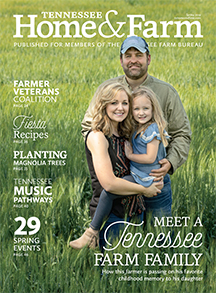 Grainger County may be the unofficial tomato capital of Tennessee (known for its annual tomato festival held the last full weekend in July), but other top-producing tomato counties include Washington, Unicoi and Lauderdale. Green tomatoes taste wonderful fried or baked into pies. For a simpler approach, Pettus Read can show you how to make a tomato sandwich, or as he says, ‘mater samminch. Heirloom and other hearty varieties of tomatoes last until the first frost. They offer an excellent segue to casseroles and winter stews. We are tomato rich and proud in Tennessee. In 2003, it was even named our official state fruit. Basil is the perfect partner for tomatoes. 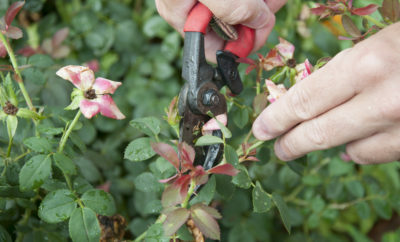 It can be planted from seed as late as August to carry tomatoes into fall – just keep the plants watered. 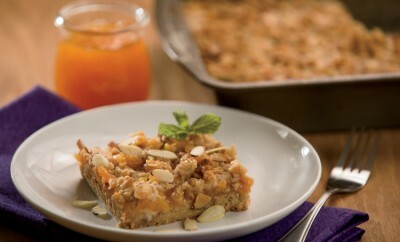 The recipes that follow have been developed to embrace the unique flavors of the region in summer. While perusing my local grocery, I came upon a wonderful new item in the deli section – shaved country ham, which is sliced almost as delicately as prosciutto. I decided to incorporate it into a traditional bruschetta recipe, bread topped with a tomato-garlic mixture. 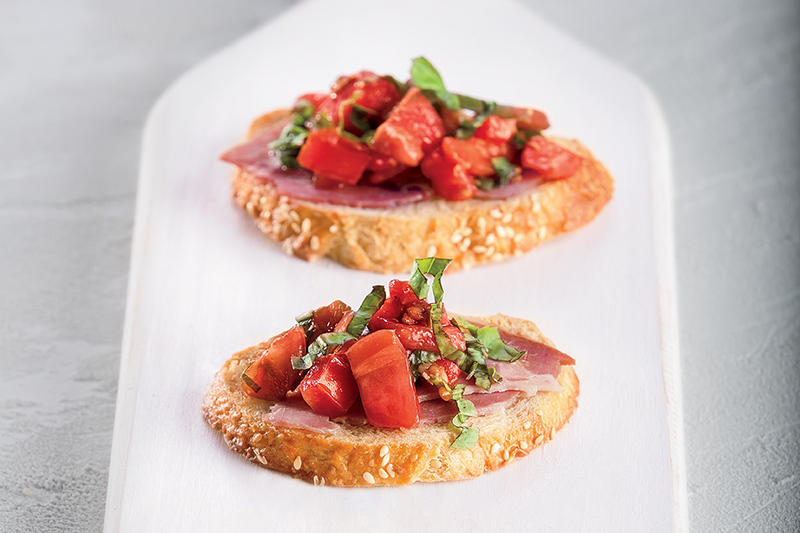 Adding this Southern favorite to an Italian-inspired appetizer, this recipe for Shaved Country Ham Bruschetta gives the salt shaker a day off. 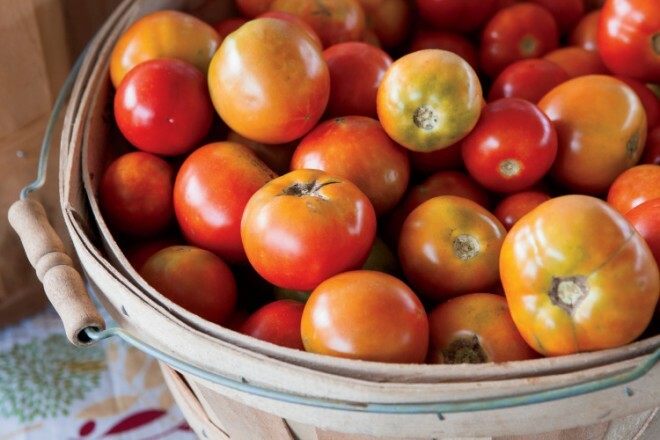 Find even more summer recipes featuring tomatoes and other seasonal ingredients. The recipes are wonderful and the information is invaluable for any tomato gardener. I love TN. Farm and Home!